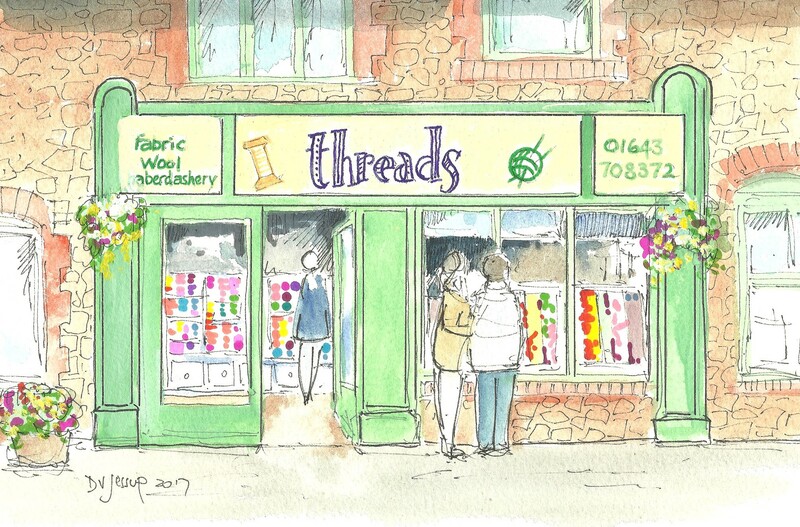 Threads is a family run business supplying Fabric, Wool and Haberdashery in Minehead. We are proud to be a part of the local community, supplying Fabric, Wool and Haberdashery to Alcombe, Porlock, Dunster, Williton, Watchet Lynton and Lynmouth and the surrounding areas of Exmoor, West Somerset and North Devon. We offer warm, friendly service and advice, as well as an ever-expanding range of items for all your needlecraft projects. With a family background of needlecraft, Jackie is always happy to spend time with you discussing your needlecraft needs, help you with your project or show you how to get started. Her lovely little shop, Threads remains true to the principles of a traditional Haberdashery, with practically everything you will need in one place. Our aim is to encourage and inspire you with all your needlecraft projects and we offer a full range of workshops and classes for all ages and abilities. The Innov-is 27SE is fantastically versatile, fabulously intuitive and easy to use.From mending and tailoring to more ambitious fashion and homeware design, the Innov-is 27SE includes plenty of functions to allow hobbyists to grow their repertoire of skills without outgrowing their machine. The 'Handi Quilter' Simply Sixteen along with its 'Little Foot' (TM) frame system enables any quilter, beginner to advanced, to machine quilt any size project themselves, using pantographs, groovy boards or free motion. Our machine is available to hire on a half day basis following initial in-house training. Our classes and workshops are designed for you to develop and acquire new skills, whilst enjoying the company of others who share a common passion for needle craft. Our locally based tutors with a wide variety of skills will enjoy sharing their knowledge and experience with you.